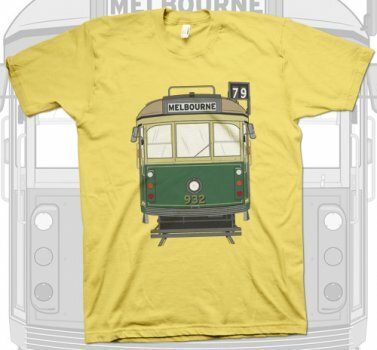 If you’re a visitor or a local to Melbourne, trams are an icon part of the city scenery. From the heritage trams like this one, right up to the bumblebee ones with ‘simulated’ bells. I wanted to draw something that struck me as ‘Melbourne’ without getting too contrived. This (being a tram) isn’t typically ‘cool’ or ‘creative’ as such. Just my vector interpretation of a Melbourne icon. Great to show the world where you’re from (or where you’ve been). There’s also a black and white alternative if you don’t like wearing the colours.